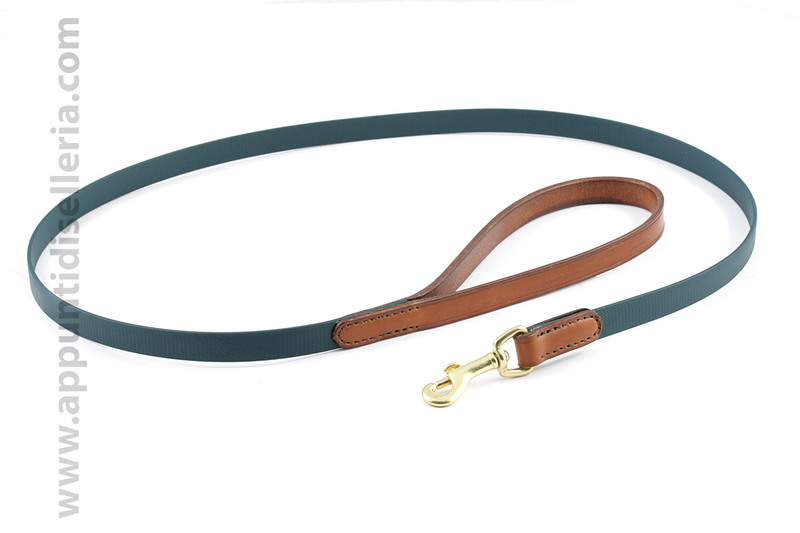 This is a 4 ft long and 5/8" wide dog leash made in green Biothane Beta with leather handle (hazel color) and solid brass snap hook. Biothane is a strong and lightweight synthetic material that can look very good when used with leather, as it can be sewn exactly like leather. It's available in different finishes, widths and colors and it's perfect for long leashes, travel leashes or simply to add some color to a classic model like this one.